2019 MOXIE Fitness Preview | Moxie - Mind. Body. Core. Far more than a fleeting fad, group fitness is here to stay. MOXIE group fitness integrates accountability; safe and effective best practices and fun in a community of committed, like-minded individuals. The MOXIE group fitness atmosphere will encourage you to hold plank a little longer, push resistance a few levels higher, or dig a little deeper to accomplish your personal goals. Whether it’s the comradery, the fun, or the accountability you’re looking for, MOXIE has something for you in 2019. MOXIE Fusion combines TRX suspension training, cardiovascular exercise, and functional bodywork providing a safe, effective, metabolic strength training workout. 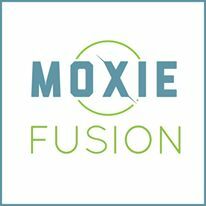 MOXIE Fusion is total body conditioning in a high energy, fast paced circuit workout with upbeat music and motivational coaching pushing you to go the extra mile. There’s no chance of boredom in MOXIE Fusion. A cardiovascular conditioning component takes the heart rate up, while the next circuit will challenge the heart rate to stay elevated, providing an ideal environment to burn fat. The timed circuit is designed to increase endurance, strength, power and movement velocity. Modifications are built into the workout, so whether you are a beginner or a well-conditioned athlete looking to take your fitness to the next level, there’s an option for you. MOXIE Fusion is low impact to minimize stress on the joints and bones. After the body has been challenged and heart rate elevated, restorative bodywork will restore the body to its resting heart rate while decreasing inflammation in the body. 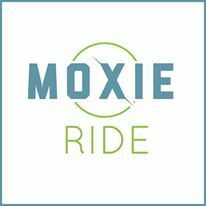 Experience the sweat fest that happens during a MOXIE Ride. Although you leave feeling extremely accomplished, your body continues to reap benefits long after. MOXIE Ride can burn on average 500 calories, increase weight loss and improve muscle definition. Correct posture and technique are emphasized to ensure the right muscle groups are being trained effectively. In addition to training major leg muscles, the core abdominal muscles also get a workout in MOXIE Ride. To improve cardiovascular health, MOXIE Ride combines both anaerobic and aerobic conditioning. While anaerobic exercise pulls energy from reserves and builds muscular endurance over an extended period of time, aerobic exercise supports endurance and cardiovascular training. Enjoy a low impact workout while progressing at your own pace. The challenges in the class are constantly changing, and instructors will take you on a rhythmical experience allowing both the mind and body to benefit. Have fun and ride into better health with MOXIE. MOXIE Barre is here. While barre workouts have origins in dance, the rhythmically challenged shouldn’t worry. 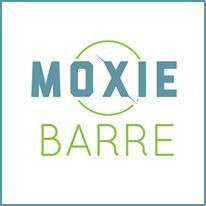 You don’t need dance experience to participate in and benefit from MOXIE Barre. MOXIE Barre utilizes the Barre Intensity technique combining attributes of Pilates, dance, and personal training. The method is a full body workout that incorporates compound movements engaging multiple muscle groups and joints. Small isolated movements can be utilized to burn and fatigue the muscles. Cardio sequences elevate the heart rate without high impact movement resulting in fat loss and calorie burn. In other words, you are going to sweat! Our barre method builds and progresses so your body will stay challenged. High repetitions and bodyweight exercises in MOXIE Barre create a longer, leaner physique. The smaller movements bring a new level of body awareness that isn’t emphasized in regular strength workouts. MOXIE Barre improves muscular activation and focus by strengthening the mind-body connection. Tiny moves. Big results. MOXIE Lifestyle Fitness Studio is engineered to help you reduce stress, maintain focus and achieve a positive outlook on life. A combination of MOXIE classes helps create a balanced body. Book your MOXIE class online.